Description: Smith & Wesson Model 14-4 .38 Spl. #19K8242 6” bbl with an excellent bight bore. This revolver featuring a Bo Mar rib retains 96% of its original blue finish showing muzzle wear and a ring around the cylinder. The Pachmayr grips are in excellent condition showing only minimal wear. A trigger job has been done on this revolver lightening the let off significantly and eliminating any creep. 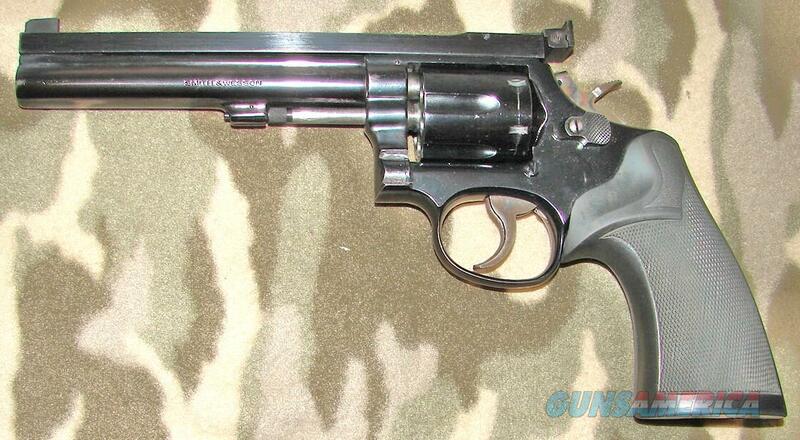 A fine older revolver geared to shoot either PPC or IDPC There is no box or papers.